Early on in "The Meg", it occurred to me that sharks just aren't very scary. I don't mean this movie's shark (although some unconvincing CGI doesn't help), but all sharks. Their teeth are always so small in proportion to the rest of their mouths that they don't register the way they're supposed to, and their eyes and faces perpetually have this expression that tells me they're just minding their own business. Even definitive scary shark movie "Jaws" knew to keep actual shots of the creature to a minimum or else people would stop taking it seriously (and the legendary deficiency of the mechanical shark certainly didn't help). So this movie is already hurt by being a monster movie with a nonthreatening monster. Jason Statham stars as Jonas Taylor, an underwater rescuer in need of redemption. We see his initial failure at the beginning of the movie, where he's forced to leave two colleagues behind to die. The sequence is so choppy and poorly-edited that when another colleague rhetorically asks "What have you done?" I was actually wondering what exactly he had done. A few years later, a team of scientists is trapped at a point lower than any human has ever travelled before. Jonas is called upon to rescue them, but only agrees because one of the scientists is his ex-wife Lori (Jessica McNamee). The mission is partially successful, but the rescue allows a 70-foot, previously-thought-extinct Megalodon to escape from its icy tomb at the bottom of the sea. Now it's up to Jonas and his ragtag team of unprepared scientists to save the world from the horror they've unleashed. The team includes Jonas's old friend Mac (Cliff Curtis), his old detractor Heller (Robert Taylor), techie Jaxx (Ruby Rose), aquaphobic crewman DJ (Page Kennedy), unscrupulous billionaire Morris (Rainn Wilson), world-renowned oceanographer Dr. Zhang (Winston Chao), Zhang's brilliant daughter Suyin (Bingbing Li), and Suyin's adorable daughter Meiying (Shuya Sophia Cai). Disappointingly, several of these characters are given very little to do. It's easy to forget that Mac, Jaxx, and DJ are even in this movie until they get knocked into the water and become potential chum. The movie, rather predictably, throws in a romance between Jonas and Suyin, but the two have very little chemistry. I would have much rather seen Jonas rekindle his relationship with Lori, effectively repairing his life both below and above the surface. The action sequences are entirely what you'd expect from a movie like this. Jonas's rescue of Lori and her team is supposed to be harrowing because there's a bunch of lights and alarms warning of an impending breach, but the situation never looked that dire to me. 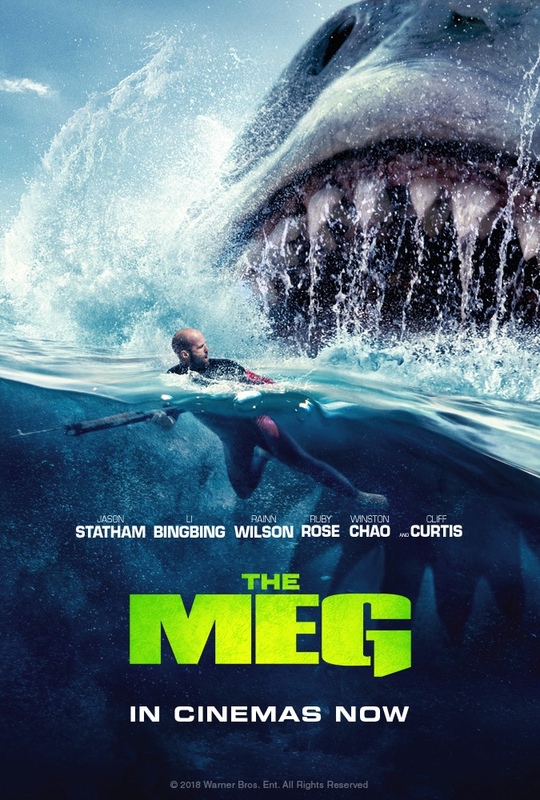 The crew sets off on a few missions to destroy the Meg, but you know they're not going to be successful because it's early and we haven't yet gotten to the much-hyped scene where the shark invades a crowded public beach. For that sequence and others, just pick out a minor character and see if they survive. For example, what do you think the odds are for that chubby kid on the raft who always has an ice cream bar in his hand? Will the movie protect him because he's a child, or will it feel that one protected youngster in Meiying is enough for one film? My fear of being wrong is way more intense than any fear the stupid shark can drum up. "The Meg" knows that it's not a good movie, so it's trying to market itself as a self-aware bad-but-fun movie. The problem is that it lacks the creativity or charisma to pull of that kind of identity. 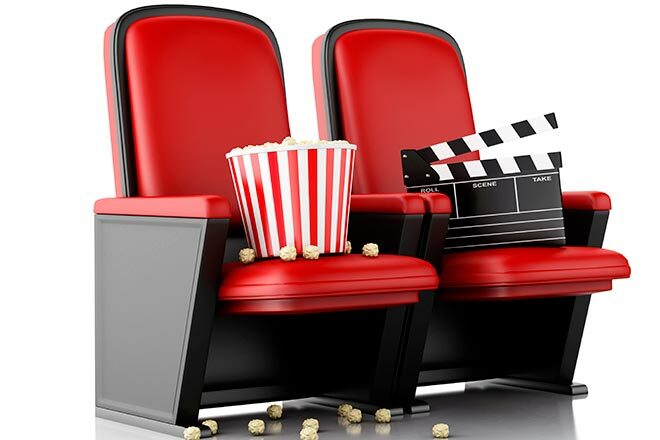 It comes close a few times, in scenes where Statham, Wilson, or Cai are having fun with the movie's blatant badness, but those moments are fleeting. I know August isn't the best time for new releases, but you don't need to waste your money on "lesser of several evils" movies like "The Meg" when there are actual good movies like "Mission: Impossible - Fallout" still playing. "The Meg" is rated PG-13 for action/peril, some bloody images and language. Its running time is 113 minutes.